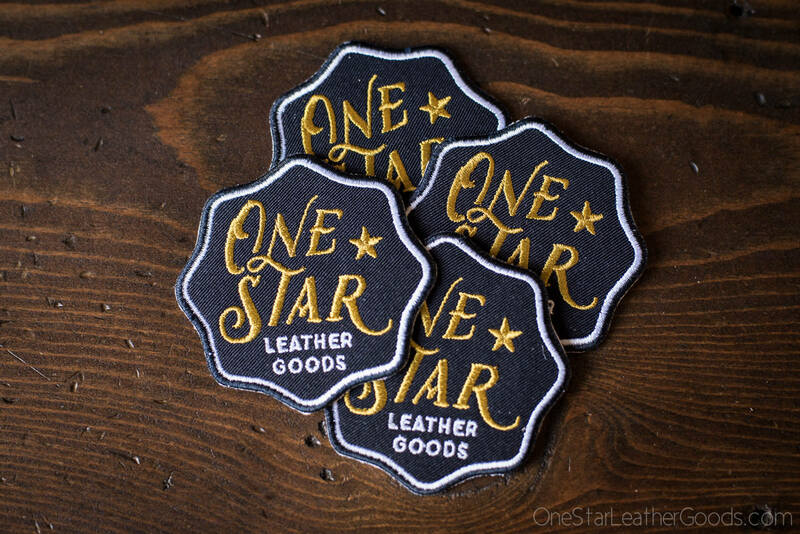 Embroidered patch with One Star Leather Goods logo. 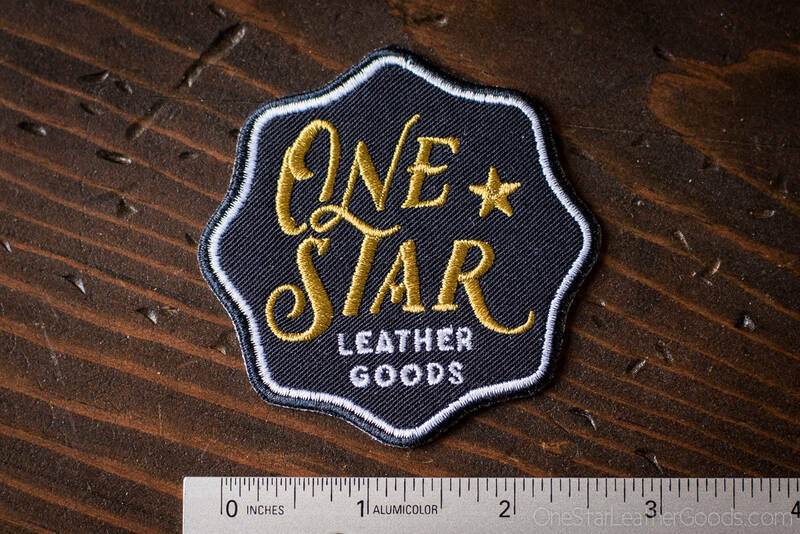 Has iron-on backing, which works well (some don't! ).